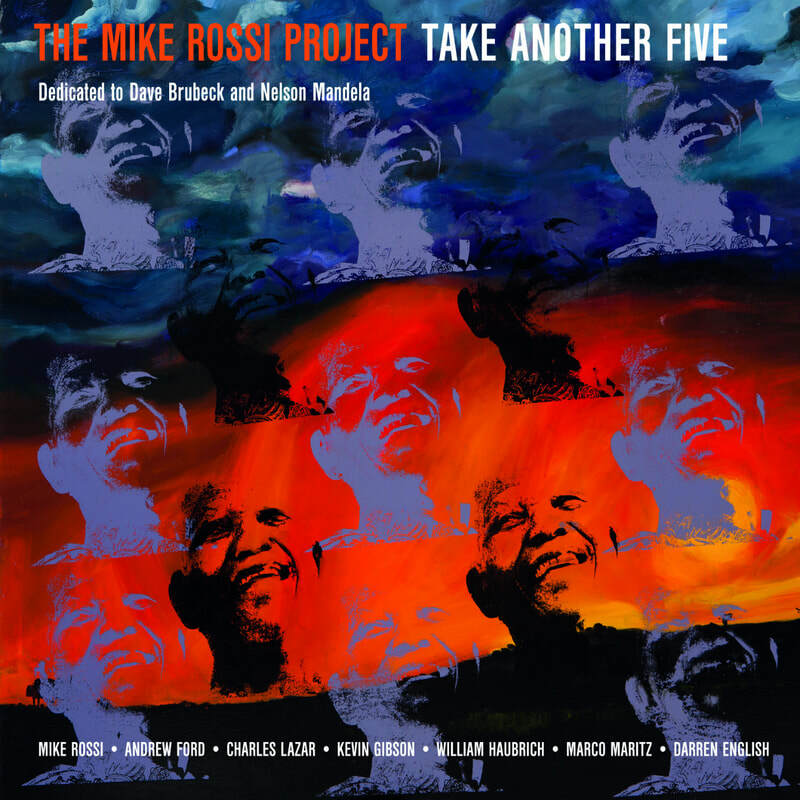 Journey is a follow-up to the Mike Rossi Project II 2016 release of Take Another Five (dedicated to Nelson Mandela and Dave Brubeck). Journey features a whirlwind tour of musical styles including Standards, Latin, Jazz-Rock, Swing, Modal and South African Jazz with some twists along the way. After an early 1970s introduction to jazz by my Dad Andimo, Journey is a collection of pieces that reflect over forty years of jazz experiences and influences from past and present heroes that shaped my life and musical being. Got a Match? is dedicated to Chick Corea, who was and still is a great influence after first hearing Now He Sing, Now He Sobs, Light As A Feather, Friends and other Corea classics from the 1970s and 80s. Following the opening introduction solo statements by Andrew Ford and Kevin Gibson, it features the band giving their all in this classic Corea tour de force. 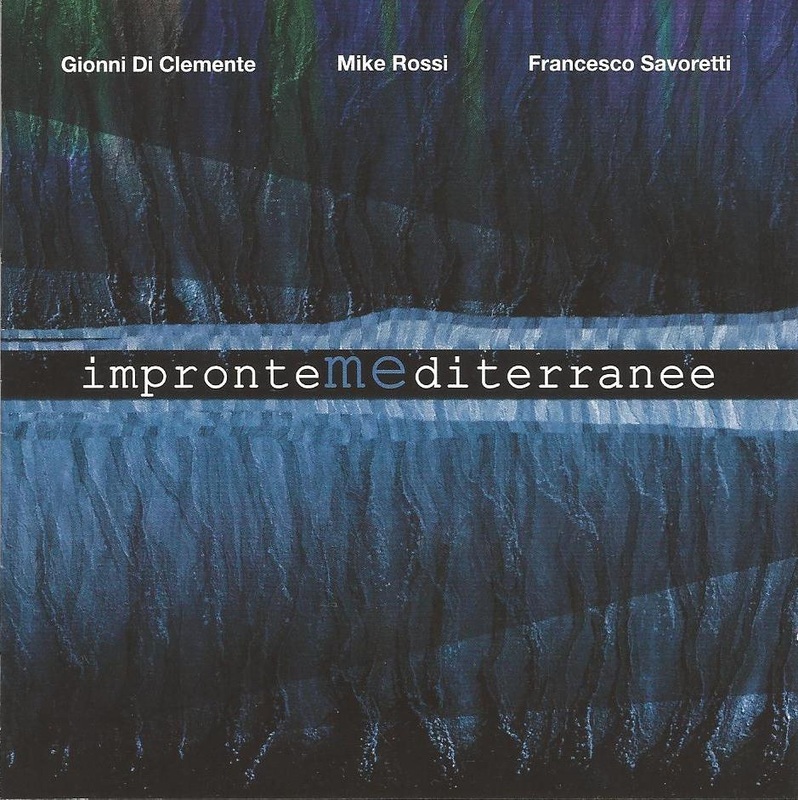 Big Sax with its relaxed and whist full melody, is one of my earlier works from the 1990s and specifically arranged in 2017 with the “sound” of my Altello saxophone in mind, one my desert island saxes hand-made in Italy by Rampone & Cazzani. The cd features throughout a collection of R & C saxophones also including the soprano, alto, tenor and baritone, as well as piccolo, flute, alto flute and clarinet. 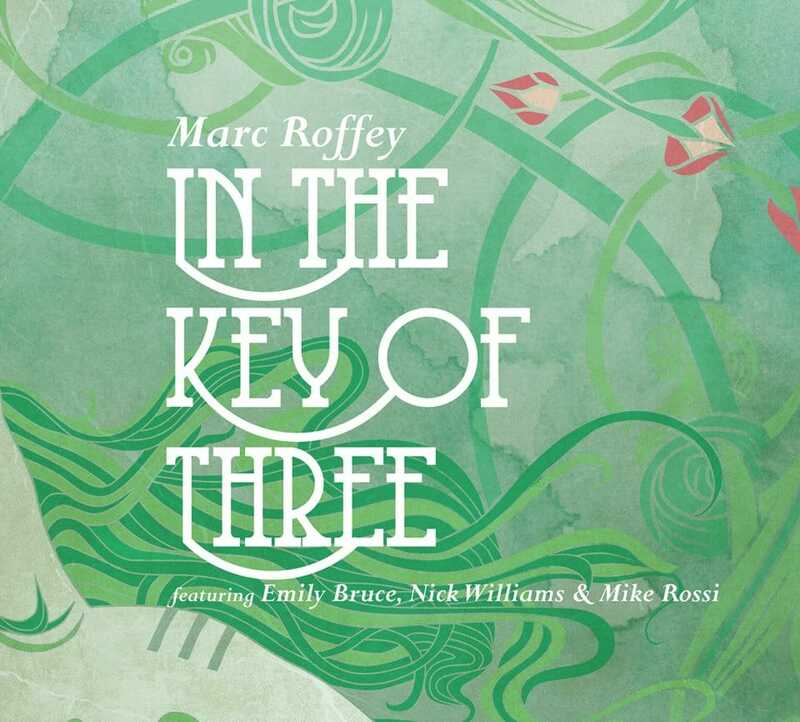 Big Sax features some lovely, gentle and thoughtful playing my Marco Maritz on flugelhorn and trumpet, William Haubrich on trombone and Wesley Rustin on bass. Ciao Roma; Don’t Say Lazio! was written in 2017 after the great pleasure of being part of Mandela Night 2017 in Roma that featured Take Another Five arranged for the Progressive Italian Jazz-Rock group Agora. The invitation from Renato Gasparini to perform with this Grammy nominated group in Rome was certainly one of the highlights of the year. While in Rome I had another chance to catch up with the outstanding Italian Jazz singer and friend Susanna Stivali whom I have known since 2011 as part of the Arcevia Jazz Feast (Jazz Festival). The original title of this work was Ciao Lazio but after its premiere at the Arcevia Jazz Feast I was told you can’t say Lazio to a Roman due to some past Italian football conflict! The Phrygian based structure is a reflection of the Italian happy/sad way approach to life. It also features Andrew Ford and some great drumming by Kevin Gibson. Star Dust is dedicated to my dear mother Janet Rossi who passed away in September 2017. It was her favourite song and if it wasn’t for Mom I doubt I would be playing the saxophone. When Mom was asked what instrument she liked the most, she replied “the saxophone”. Many of my works stem from my Italian-American upbringing by Janet and Andimo Rossi; a culture and heritage that reflect the regions of Abruzzo, Benevento and Naples. KwaZulu Zam Sam is a new arrangement of KwaZulu Zam that was recorded for the first MR Project Trespassing Permitted but not released due to an already abundance of material on the cd. It is truly South African in nature and style, (now with a Basie-like shout chorus), and is always a pleasure to perform for South African and international audiences. KwaZulu Zam is also published as an arrangement for mixed ensemble by Advance Music, Germany. Alpe Camasca, Italy is an extended work and multi-layered nine movement work that moves two main themes through different time signatures and feels. (I also move from clarinet to tenor, to soprano). It was inspired by visits and special times with my wife Diane to Northern Italy and Quarna Sotto where the Rampone & Cazzani factory is located. At an altitude of 1300 meters Alpe Camasca is a complete different world with breath taking views in every direction and Italian life at its most basic and very best. The work is dedicated to Maria Rita Zolla (wife of Roberto, and mother of Claudio and Simone Zolla), who passed away in 2016 and was a dear friend to my wife and myself. Greasy Pan Blues is one of the oldest/newest pieces on the cd as it was first written in 1992 and arranged in 2017 for the MRP III Journey Project. It is basically a blues in two keys at the same time, thus the “strange” sounds! The melody was first inspired while visiting and performing in South Africa in 1992 at a then quite well known Cape Town jazz club, however the food was not so famous and I wound up in hospital the morning after an evening performance. The blues really gets stretched to say the least on top of some fun group improvisations and brilliant solo by Andrew Ford on organ. Hope you enjoy the vocals by the band! Land of Make Believe. As a “kid” growing up in the 1970s no one could escape the popularity across all genres of Chuck Mangione. His mega hits such as Land of Make Believe, Chase the Clouds Away, Feels So Good were all part of my collection. As a young sax player trying to play flute and clarinet I always admired Mangione’s saxophonists who were all outstanding woodwind players as well as fantastic and exciting soloists. It was a great time growing up in the 70s listening to and seeing the likes of Jazz-Rock artists Chuck Mangione, Weather Report, Tower of Power et al, and the big bands of Count Basie, Duke Ellington, Don Ellis, Woody Herman, Stan Kenton, Buddy Rich and Maynard Ferguson. Shiny Stockings is dedicated to the great Count Basie and his band, and is based on the great Frank Foster arrangement. In this version, it’s re-worked for quartet and features the clarinet (an instrument not often heard in jazz today) along with tasty playing in the rhythm section by Andrew, Kevin and Wesley. Cucciulitti-Snails of Fermo was written in 2017 and features the baritone sax and William Haubrich on trombone. It is dedicated to my dear friends in Fermo, Italy; mainly Umberto and Maria Bufalini, and Roberto Zechini. Cucciulitti is the local dialect for snails which were prepared with loving care for hours by Umberto in an endless feast of these little creatures and accompanied by lots of local wine. Hilda is a beautiful piece by Lars Jansson. The melody stands on its own without any real need for improvisation. It is dedicated to the many friends I have made from Norway and the “Hildas” everywhere. Many thanks to Emilio Marinelli for introducing me to this beautiful piece. Mra is a South African classic and features bassist Wesley Rustin with a brilliant opening introduction before setting the groove! There have been numerous versions of this piece recorded and I hope this 2018 version takes you and leaves you the listener in a place only South African Jazz music can. Enjoy! The Mike Rossi Project: Take Another Five, dedicated to Nelson Mandela and Dave Brubeck with Andrew Ford, Charles Lazar, Kevin Gibson, Mike Rossi, Marco Maritz, Darren English, William Haubrich, MRP/ROS16. 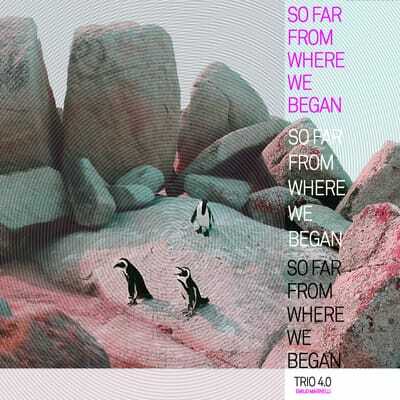 So Far From Where We Began - Emilio Marinelli 4.0 Trio with Benjamin Jephta and Marlon Witbooi, featuring Melanie Scholtz, Ndumiso Manana, Mike Rossi and Massimo Morganti, Groove Music/Universal Music, 2016. In The Key of Three: Marc Roffey with Emily Bruce, Nick Williams, Mike Rossi, 2016. 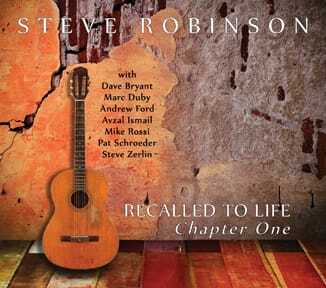 Recalled to Life - Chapter One; Steve Robinson with Dave Bryant, Marc Duby, Andrew Ford, Avzal Ismail, Mike Rossi, Pat Schroeder and Steve Zerlin, Art of Life Records, 2016. Two And Four/To And Fro: Darius Brubeck, Mike Rossi, The Darius Brubeck Quartet, Matt Ridley & Wesley Gibbens, Gathering Forces, 2011. Conceptions UCT Jazz 2010 (tenor saxophone) Darn That Dream, Blue Minor, Sermon, Stringwise Jazz Records CDSTR 103, 2010. Twenty Fabulous Fingers – Mike Rossi & Anthony Weller (multiple woodwinds) Cape Town Sound, S.A., 2009. Jazz und Elektronik: Live at the Baxter – Patrick Bebelaar, Mike Rossi, Ulrich Suesse, Cape Town Sound, S.A., 2009. For Lydia and the Lion – the Darius Brubeck Quartet (tenor & soprano saxophones) Gathering Forces, London, U.K., 2008. 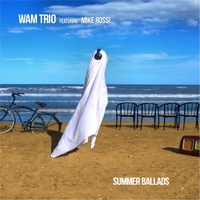 Common Ground – Mike Rossi & Micu Narunsky Duo (MSR 1207, USA) www.msrcd.com 2007. 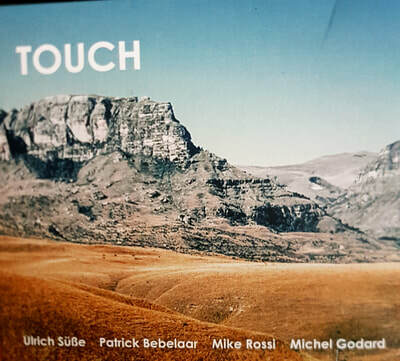 Ein Traum von Wunderbarem Laben – Ulrich Suesse, Patrick Bebelaar, Herbert Joos, Frank Kroll, Mike Rossi(Cd-023) dml-records, Stuttgart, Germany,2007. Full Spectrum UCT Jazz (tenor saxophone)Hello from Down Here, Concertino for Tenor Saxophone and Orchestra, CD 002, 2006. Eduard Mörike: In der Vertonungen unserer Zeit, (tenor saxophone, flute, clarinet, bass clarinet) Bayer-Records Germany, Br. 140006/7, 2005. The Music of Peter R. Farmer – Concertino for Tenor Saxophone and Orchestra with the Czech Radio Symphony Orchestra (tenor saxophone soloist) MP3.com, 69604, 2000 reissued on Music of David Post & Peter Farmer – Concertino for Tenor Saxophone and Orchestra with the Czech Radio Symphony Orchestra (tenor saxophone soloist) MMC 2125, 2004. Darius Brubeck: Before It’s Too Late - Mike Rossi with Darius Brubeck, Sheer Sound, 2004. 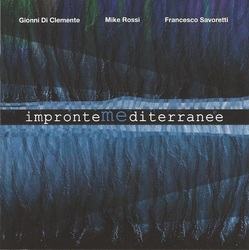 Mike Rossi and Ulrich Suesse –Two in One: the electro-acoustic, MRUS 4074, 2002. Space & Consequence – Virtual Jazz Reality, (tenor saxophone & flute), VJR Records, 2002. MMC New Century: Volume VII - Night Music, (tenor saxophone), MMC2072, 1999. One For David–Chamber Jazz, (tenor, soprano saxophone & flute), Beaujolais, 1998. Best of the Standard Bank Jazz Festival 1997, (tenor saxophone & flute), Lions Head Records, 1997. 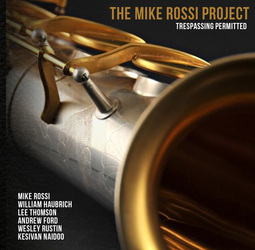 Beauty and the Blues – Mike Rossi Quartet featuring Billy Hart, Rufus Reid, Tom McKinley, MMC2045J, 1997. Everything Happens To Me - Boston Big Band,(tenor saxophone), Seaside Records, 1997. Boston After Dark - Boston Big Band, (tenor, baritone saxophone), Seaside Records, 1994.